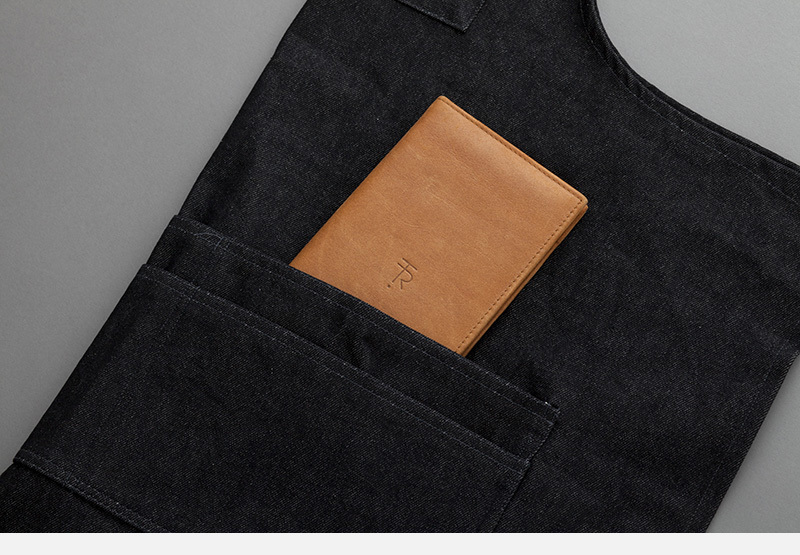 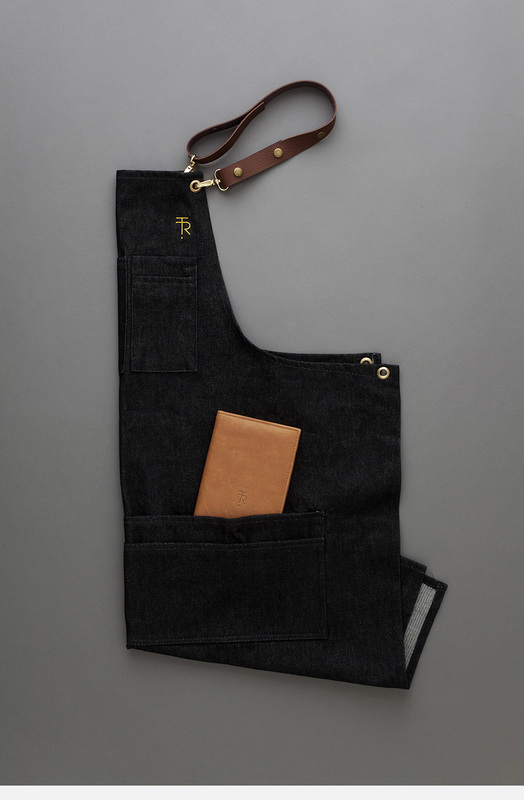 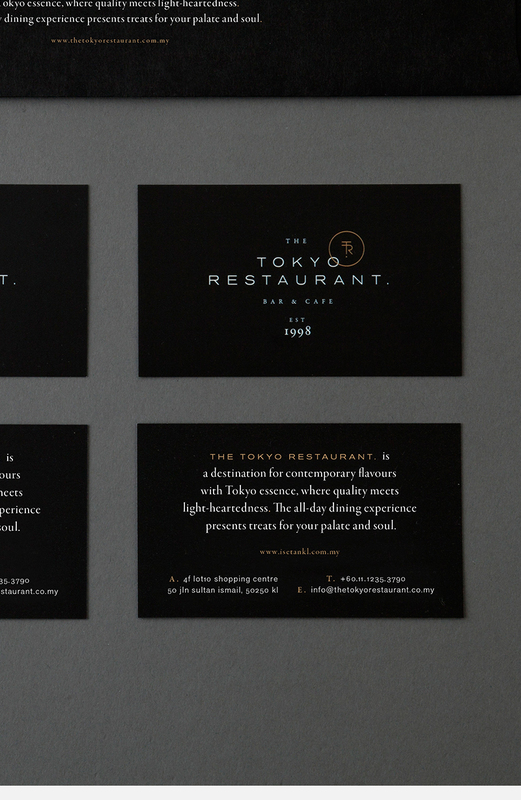 artless Inc. | news and portfolio : branding & identity : branding for The Tokyo Restaurant. 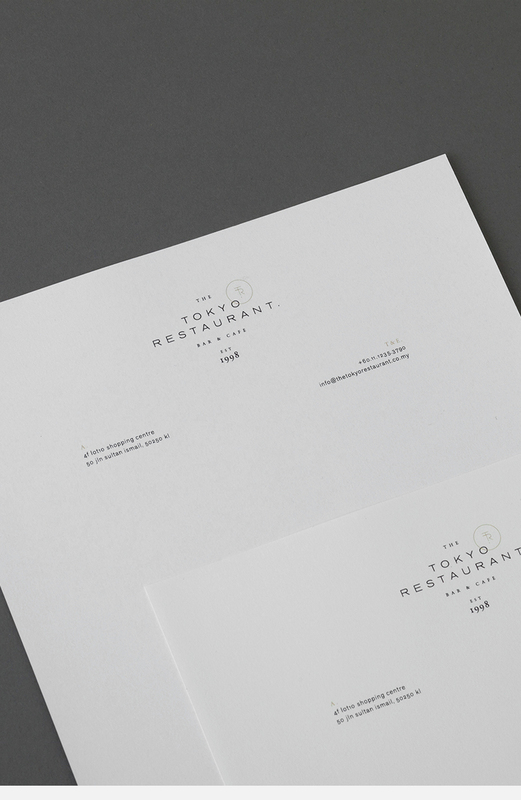 branding for The Tokyo Restaurant. 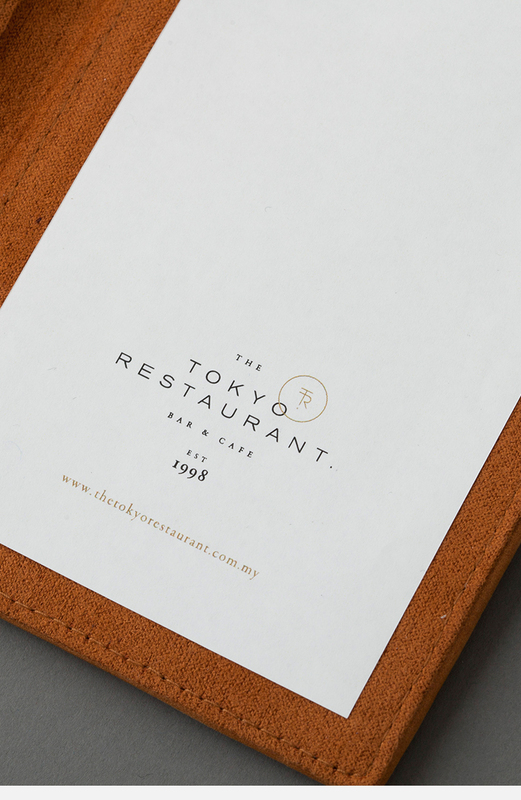 Located in the hustle and bustle of the city centre in Kuala Lumpur, Malaysia, “The Tokyo Restaurant.” is a Japanese restaurant & bar in ISETAN THE JAPAN STORE, produced by Plan・Do・See, Inc. We, artless Inc., was given an opportunity to carry out branding & visual identity for the restaurant. 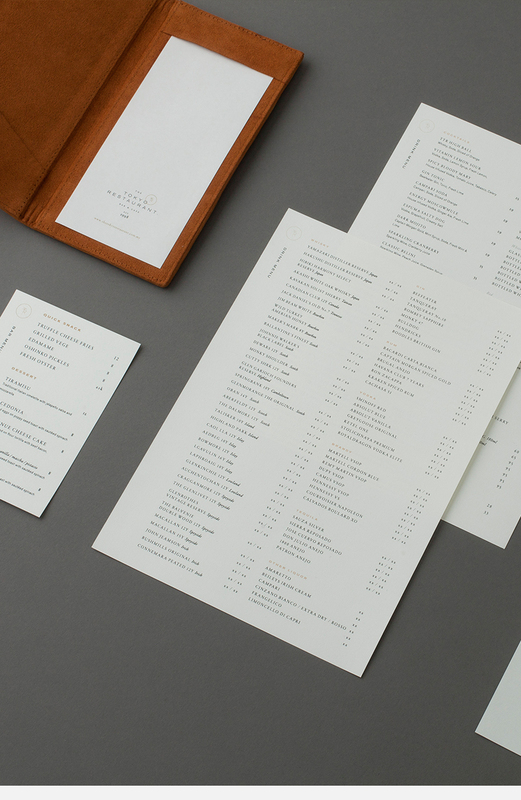 Our branding span across a wide range of media from logo design to stationeries, menu, sign design and copywriting. 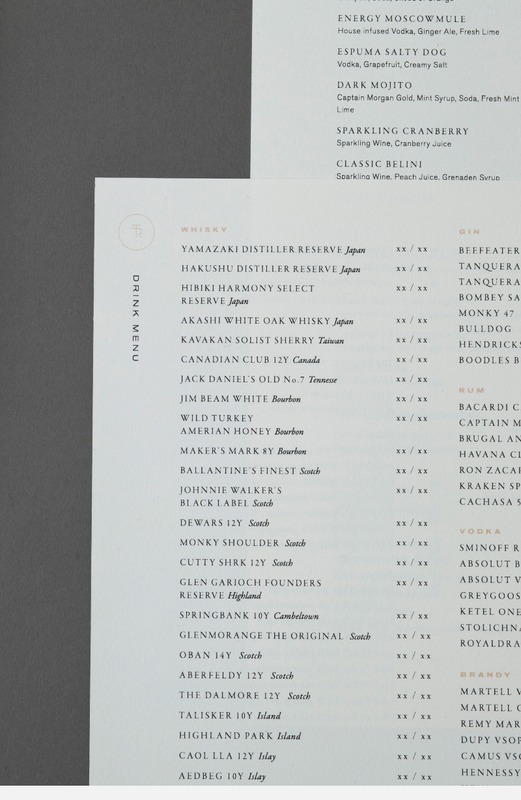 The key concept for the visual identity is “marriage of authenticity and light-heartedness.” Classic typefaces were chosen to create an authentic atmosphere for the brand, while the abstracted monogram adds a contemporary, approachable look. 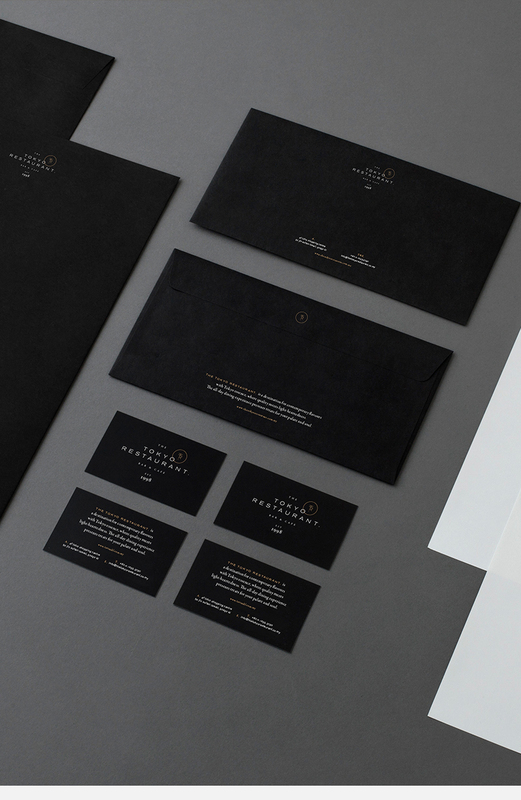 We have created an extensive corporate identity guideilne in order to ensure the correct delivery of the brand’s tone and manner by local designers. 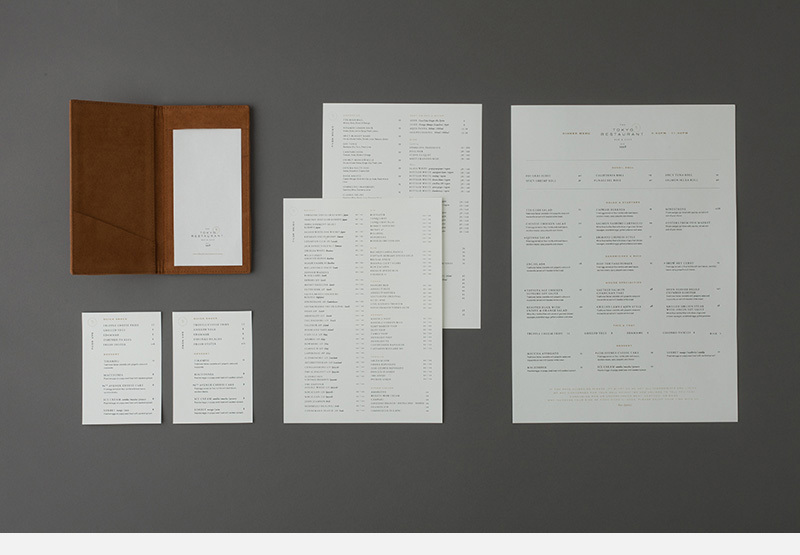 The corporate identity guideline includes: the usage of logos and its versions, examples of typeface usages, direction for photographys and copywriting. 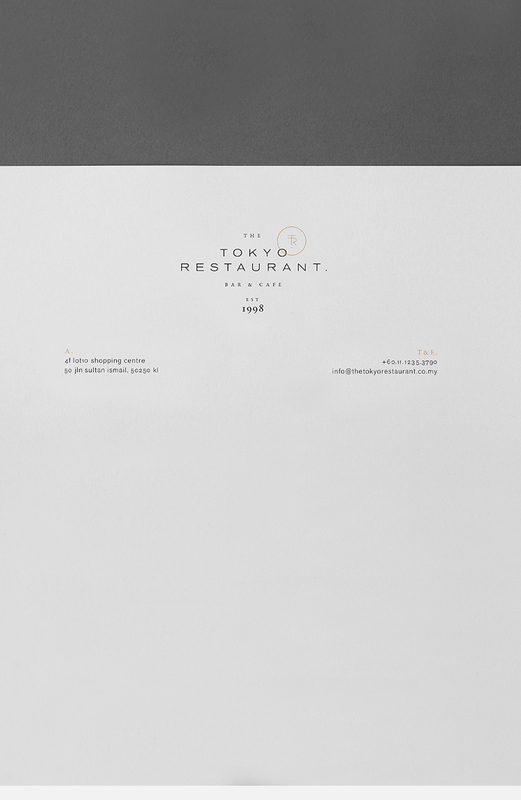 The Tokyo Restaurant. 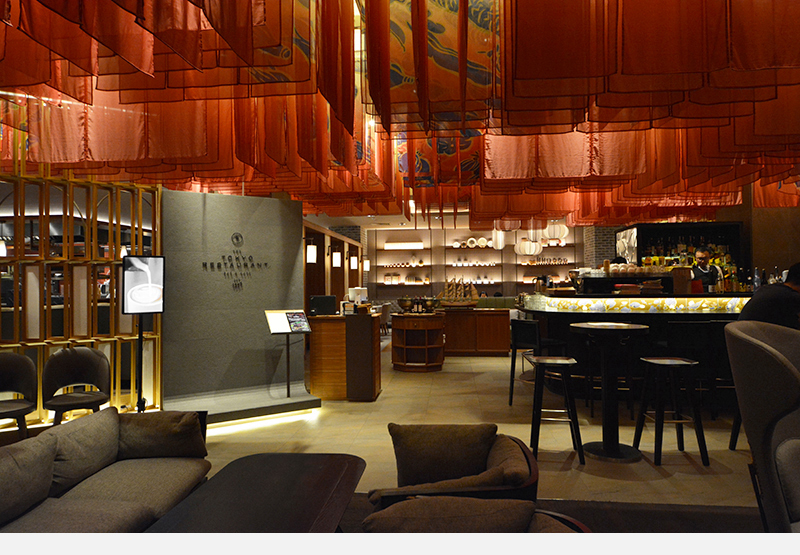 is suited for various occasions whether your visit is with family, friends or as a couple. 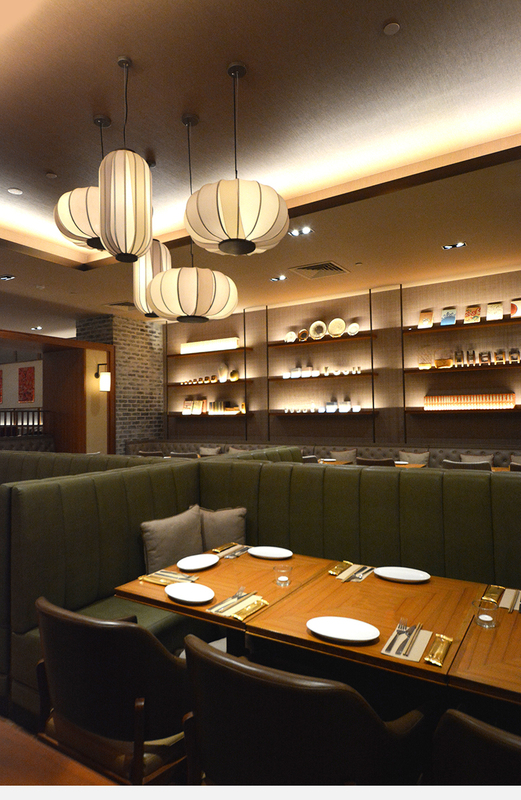 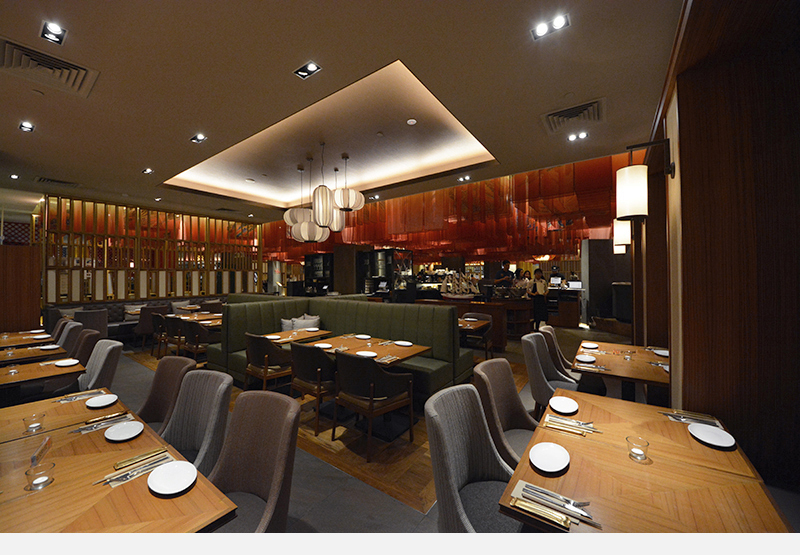 The brand design sets the restaurant down-to-earth, while not compromising on the sophisticated mood. 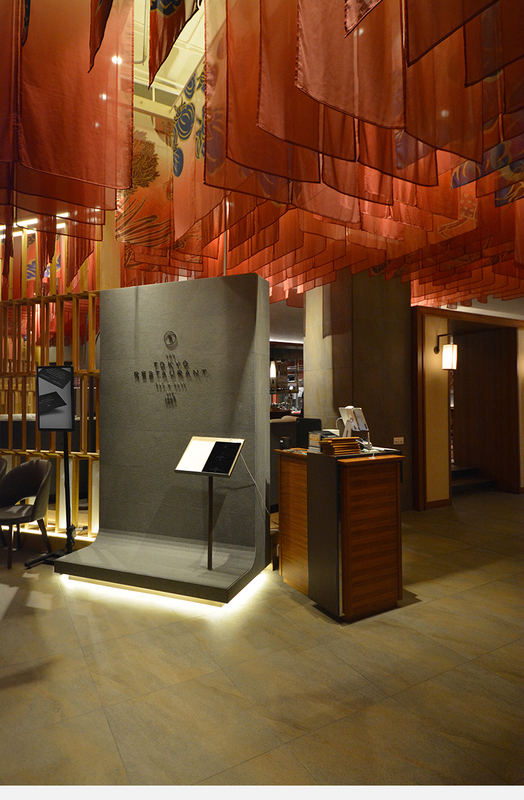 We believe that, with our own Japanese sense of aesthetics, we were able to express the sophisticated, contemporary atmosphere for the audience in Kuala Lumpur.